Today, more start-ups, small businesses and large companies are all looking at cloud computing and the promise of software as a service (SAAS) business solutions around and within cloud computing. Advances for companies just a few years ago meant rewiring offices and servers to handle new voice mail and email software, as well as speed up Internet and wireless connections. A gradual but continuous movement has already begun in the IT world. More frequently, companies offering resource management, such as Netsuite resource management, are gaining influence in fields of science, manufacturing and technology. Cloud computing is bringing system processes onto the Web and out of server storage closets. The accessibility factor makes businesses faster and more efficient. The ability to pull files, records, financial statements and customer information from the cloud has enabled companies and businesses to work from anywhere in the world. Using the cloud for storage and communication saves time and money while offering storage for incredible amounts of information. Plus, businesses working in physical locations now have added space within their locations from the elimination of bulky server storage capabilities. Cloud computing also balances surges in server space required for peak business times. It increases the speed to which a business conducts itself by streamlining the whole software-delivery system and decreasing the hardware on site (no additional hard drives, DVD drives etc.). All of this results in reduced expenditures and an increase in the bottom line. For businesses and larger companies, cloud services deliver efficiency improvements by distributing systems and storage, as well as the ability to scale computing power on-demand for critical applications. Some computer companies combine the sale of cloud coverage to customers with selling computers. Customers can add or drop whatever services work best for them and have the option to change their services within the cloud at a future date. Customers can select types of servers needed and make recommendations based on the amount and type of data needed for storage. It's important to research different companies in the cloud-computing space. 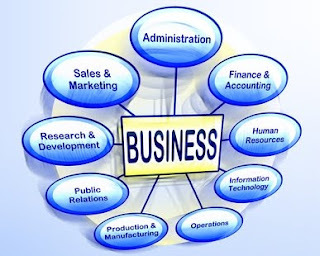 Your business needs may have specific e-commerce requirements or data needs that will alter your choice of company. Plus, you'll want to choose a provider that can scale up in growth for you. Right now, your business needs may be limited, but your company may need to ramp up its computing storage down the road, so make sure growth is built into your plan with your provider. Plus, the cloud storage firm may have different levels of computing power. Find out if they offer both virtual dedicated servers (VDS) and virtual private servers (VPS). Some hosts mix these designations together, but they are not the same. Learning more about cloud computing and understanding the differences in project-resource software for your business needs can be a great boost to your company's sales in the future. Lance Overbay studied engineering and minored in English. He has a love for all things Android, but appreciates additional platforms.